Those that live in the cold climates dread the dry skin that accompanies the dry winter air each year. Even those that live in the tropics experience dry skin from time to time, mostly due to the effects of the sun and pollution. It seems like dry skin is a problem faced by women across the globe, no matter where they live. When skin become extremely dry it also leads to flaking of the skin and in the most severe cases cracking and bleeding. Because of the need these women have for a product that moisturizes their skin adequately the cosmetic companies have come up with the deeply moisturizing body butter. And the top of the pile when it comes to these butters is the Shea body butter. Shea butter comes from the fruit of the Shea tree which is native to Africa. It has become well known as the most effective moisturizer for those who have problems with excessively dry skin. It also heals cracks and soothes the irritation and itching of dry skin. 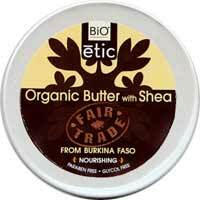 You can see how popular it is by the wide range of lotions, creams, shampoos and body butters that use Shea. If you need extreme moisturizing then you will find that Shea body butter is vastly superior to and moisturizing lotions. While the Shea body butters are a bit more expensive because of the high concentration of Shea butter in them, most women have no problem paying a bit more for a product that works so well in relieving them of dry chapped skin. And as the industry has evolved, cosmetic companies have even improved on the Shea body butter by adding other ingredients that help promote healing, reverse the effects of aging and minimize the damage caused by wind, sun and pollution. It’s no longer just a dream to imagine having soft smooth skin all year round. Shea body butter promises a way out of the embarrassment of dry cracking skin and flaking. There’s no longer any reason for women to hide underneath bulky clothes to cover up their dry skin, all they need to do is turn to body butter and restore their once youthful skin.